Debra Fine: The Fine Art of Small Talk : How to Start a Conversation, Keep it Going, Build Networking Skills--and Leave a Positive Impression! John G. Miller: Flipping the Switch... : Unleash the Power of Personal Accountability Using the QBQ! 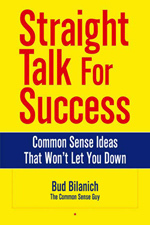 Interpersonal competence is one of the keys to career and life success in several of my books: Straight Talk for Success, 42 Rules to Jumpstart Your Professional Success and Your Success GPS. In each of these books, I explain that if you want to become interpersonally competent, you need to do three things. First, get to know yourself. Use this self knowledge to better understand and work with others. Second, build solid, lasting mutually beneficial relationships with the people in your life. Third, resolve conflict positively. Use conflict as an opportunity to enhance, not detract from your relationships. 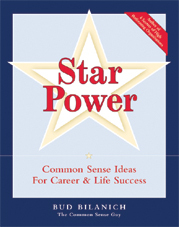 The other day, I was interviewed by Derek Burnett, a writer for Positively Magazine (www.positivelymagazine.com) for an article he is writing on the nuts and bolts of how to maximize one's interpersonal competence and use it to greatest effect for career advancement and success. Obviously, this topic is right up my alley. As we were finishing our talk, Derek asked me if I knew of other people he could interview on this topic. I suggested that he speak to my friend Judith Glaser. Judith is the author of a very powerful book Creating WE. Creating WE was chosen as one of the Forbes 40 Notable Business Books of 2005, the year it was published. Judith has expanded on the thinking in Creating WE by creating the Creating WE Institute, of which I am proud to say I am a founding member. As a matter of fact, I have contributed three chapters to the forthcoming book 42 Rules for Creating WE. I bring up Creating WE here because I think that Judith’s ideas about we-centric thinking have a lot to do with interpersonal competence. Interpersonally competence people think “WE” first and “I” second. That’s how they build and maintain strong relationships and resolve conflict in a positive manner. The ability to have healthy conversations that build a sense of common purpose and challenge others in creative ways. The ability to encourage others to step out of their comfort zone and take action in the face of ambiguity. The ability to leave behind the toxic, emotional baggage of the past and to tap into one’s creativity and underused talents. The ability and willingness to exchange knowledge and wisdom with others. The ability to redefine challenging circumstances in creative ways, to tell new stories that connect people and shape the future. The ability to focus on the positives, celebrate success, grow from failure and build hope and spirit. I share Judith’s thinking as expressed in Creating WE here, because I believe her ideas go a long way in defining the essence of what it takes to become a truly interpersonally competent person. I hope Derek includes her thoughts in his article in Positively Magazine. That’s my take on WE thinking and interpersonal competence. What’s yours? Please take a minute and act in a WE manner. Leave a comment sharing your thoughts with us. As always, thanks for reading. Lab on Success Common Sense Has Moved! Success Common Sense Has Moved!